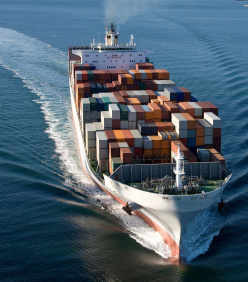 Freight Forwarding & international shipping company. Bristol and Cardiff Wales. RSJ International is a UK based multi-modal freight company incorporating Air, Ocean and Road freight as well as full courier service. With offices in the South West and Wales (Bristol and Cardiff) we are a UK based freight company who offer shipping, courier, haulage and cargo services to locations internationally. We handle Imports and Exports Globally and our partners in the USA have offices in 48 Cities including all the major gateways. Our Partners in China have offices in 14 major Cities and we have representation throughout the Far East, Australasia and Mainland Europe. If you need to ship from locations in the UK including from Plymouth, Bristol, Southampton, Portsmouth, South West, UK or Cardiff and Newport, South Wales, we are one of the UK's top international shipping companies, we are represented at all the major airports and seaports in the UK and abroad. April 2019: Live in Bristol or in the South West? We look at starting an import export business in Bristol. We do not move livestock freight but we try to help guide you on this area with our latest article on livestock freight. Also recently added - if you wish to move perishable freight and cargo, there are many things to consider. Just added: the latest freight technology. We deal with cargo, freight and shipping into and out of the UK and can help you move products globally. Whether you are looking for a freight company to bring cargo into Bristol; needing to move freight from Cardiff; UK for your London based business; or whether you need to import products from China or the USA, we can help. Vehicle transportation and also reasons to visit Cardiff for business! Make sure to read the latest post in the news section on my attempts to escape the freight industry for 10 days! The photographic industry is one sector also which can provide freight opportunities. Why Bristol is a great business location. Contact us now to discuss shipping and freight services worldwide. we will respond as soon as possible". Please get in touch with us if you need a one stop solution to your global logistics problems.